In the spring of 1979, fifteen-year-old Dana Scully has bigger problems than being the new girl in school. Dana has always had dreams. Sometimes they’ve even come true. Until now, she tried to write this off as coincidence. But ever since her father’s military career moved the family across the country to Craiger, Maryland, the dreams have been more like visions. Vivid, disturbing, and haunted by a shadowy figure who may be an angel . . . or the devil. When a classmate who recently died in a car accident appears before Dana, her wounds look anything but accidental. Compelled by a force she can’t name, Dana uncovers even more suspicious deaths—and must face the danger­ous knowledge that evil is real. April 1, 1979, 7:29 P.M.
“I want to believe,” said Dana Scully. "A page-turning thriller from a master storyteller that all readers can enjoy. 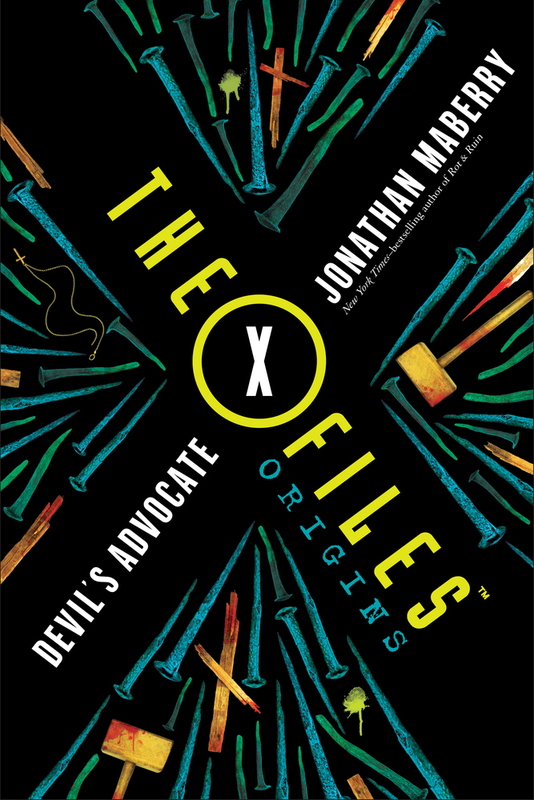 A must-read for both die-hard fans and those who have never heard of Dana Scully." —Melissa de la Cruz, #1 New York Times bestselling author of The Isle of the Lost and Witches of East End series. Jonathan Maberry is a New York Times bestselling author and five-time Bram Stoker Award-winner. He writes in multiple genres including suspense, thriller, horror, science fiction, fantasy, action, and steampunk, for adults, teens, and middle grade. His works include the Joe Ledger thrillers, Rot & Ruin, Mars One, and Captain America, which is in development for a feature film. He writes comics for Marvel, Dark Horse, and IDW and is the editor of such high-profile anthologies as The X-Files, V-Wars, Out of Tune, Baker Street Irregulars, Nights of the Living Dead, and Scary Out There. He lives in Del Mar, California.